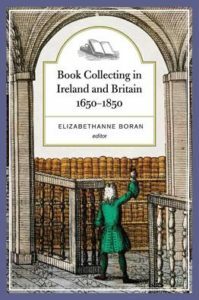 Karen Baston, ‘A Family of Readers in Eighteenth-century Scotland: the Areskines of Alva and their Books’ in Elizabethanne Boran (ed), Book Collecting in Ireland and Britain, 1650–1850 (Dublin: Four Courts Press, November 2018). Karen G. Baston, ‘Humanist Books and Lawyers’ Libraries in Early Eighteenth Century Scotland: Charles Areskine of Alva’s Library’ in John W. Cairns and Paul J. du Plessis (eds), Reassessing Legal Humanism and its Claims: Petere Fontes?, Edinburgh Studies in Law (Edinburgh: Edinburgh University Press, 2015), pp. 348-376. Copyright © 2019 Karen Baston. All Rights Reserved.